Tour Description: Beijing airport pick-up in time by our private guide & private driver; the guide will hold a sign with your name on at the exit of the airport. 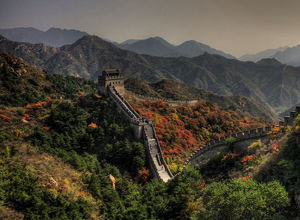 Take about 1.5 hour’s drive to the Badaling Great Wall, the most visited section of Great Wall. Drive back and on the way drop by an visit to the Olympic Green, where you can take photos with the modern Bird’s Nest and Water Cube. Arrive in the airport; end of our service. Would like to do a tour what do you suggest in the time. According to your layover time, you will have plenty of time to do this tour. We just sent you an email, please check it out. 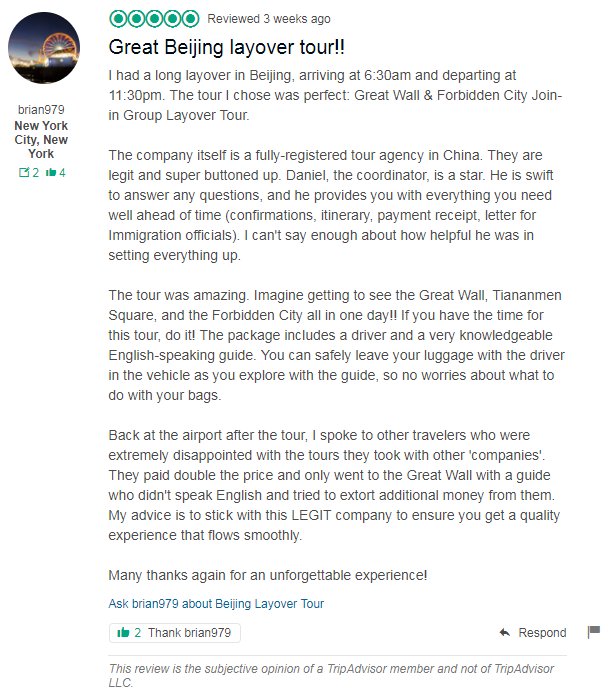 I will have a 10 hours layover in Beijing and would like to know how much do you charge for a tour to the Great Wall. Thank you for your message. We just send an email to you, please check.